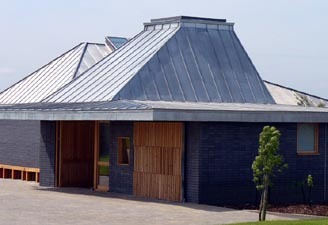 Designed by mae LLP architects and contructed in Staffordshire blue brick, larch and zinc, this building has been described as “a model 21st-century cemetery”. Ketley’s Staffordshire blue brick laid in a stack bond with a colour-matched mortar, is the major material used. 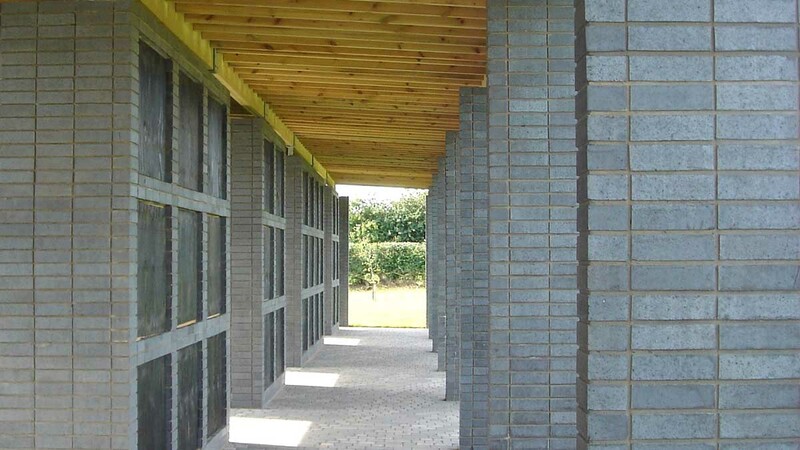 The client, North Hertfordshire District Council, and the design team felt this type of brick would be more suitable than the more locally prevalent soft red brick as it was important to present a high-quality finish. The density of the hard-fired Class A bricks also minimises water ingress from driving rain on the exposed and windy site.